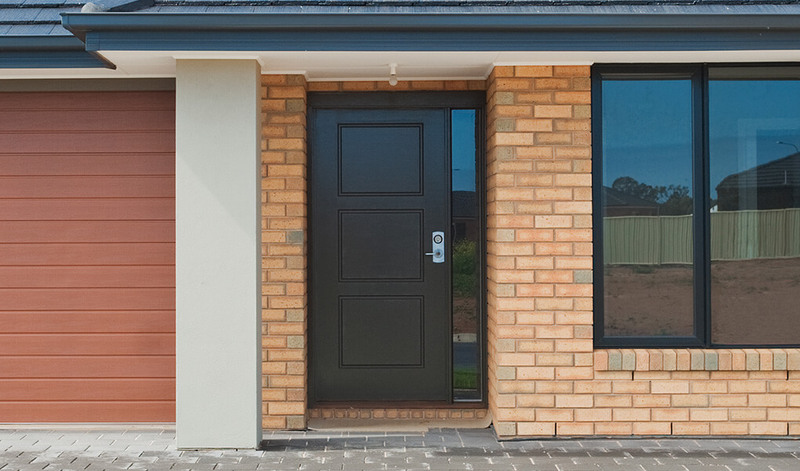 Entrance doors are the most popular door style in the UK. Regulating who can and cannot enter your home, it’s important that they’re both durable and reliable. However, there’s no reason why they can’t look great too. 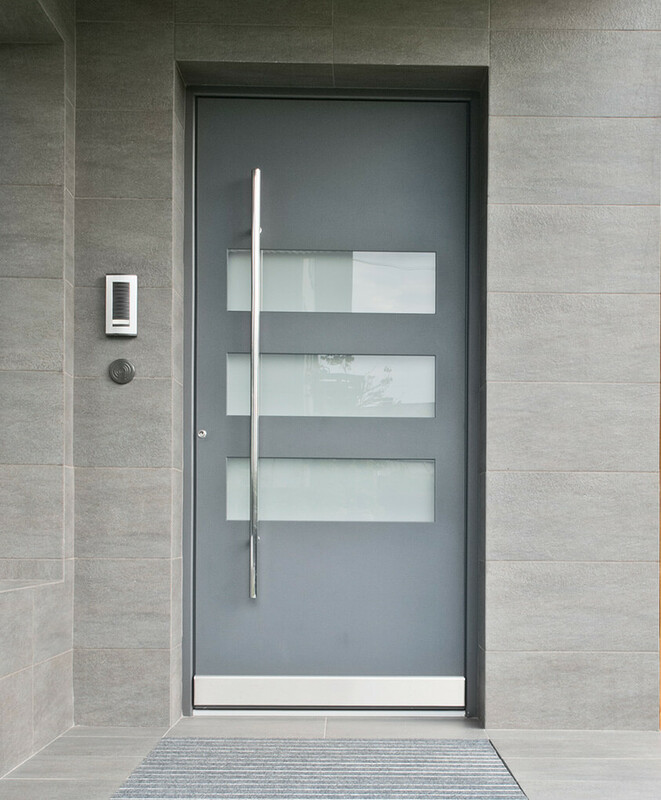 Fortunately, aluminium is an inherently strong material and T&K’s selection of aluminium entrance doors have been finely crafted for a superior aesthetic appeal. With incredibly slender frame depths of just 70mm and a finely crafted exterior finish, they look absolutely stunning. Factor in the beautiful range of optional hardware and colours and you can adapt these beautiful aesthetics to suit your own individual desires. Whether you’re too cold, it’s too loud or whatever the reason, there’s nothing worse than feeling uncomfortable in your own home. But rest assured, our aluminium entrance doors will never be the cause of such issues; fitted flush to the frame, your home will be draught and weatherproof, whilst external noise will struggle to make it’s way into your home. Retaining plenty of heat, you’ll save considerable sums on your energy bills come winter time too. With attainable U-values of 0.9 w/m2K, they are extremely energy efficient. With a high security lock which has been manufactured to PAS 24 standards, rest assured that security levels will not be compromised. 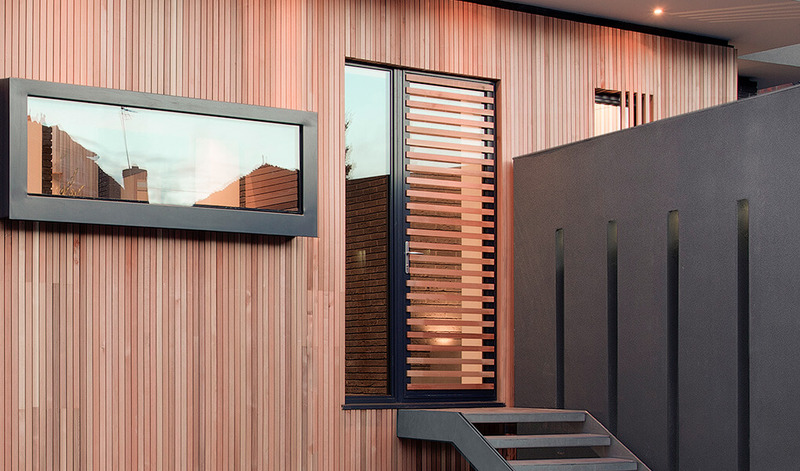 An anti-corrosion and anti-rust material, aluminium will stay looking great for years with only minimal upkeep. Get inspired by visiting our fantastic show site or take in our stunning range via an online tour. Available in a bountiful range of stunning colours, T&K are set to meet all your aesthetic requirements. Select something that reflects your unique character or ensure colour compatibility with the rest of your property. With our wide selection, it really is up to you. 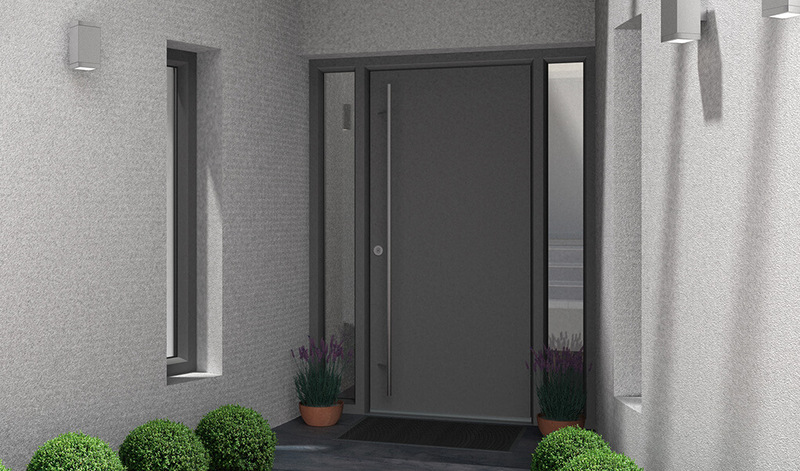 Our aluminium entrance doors can be fitted with glass portions in a variety of unique layouts. These portions of glass can then be decorated in a stunning design of your choosing. 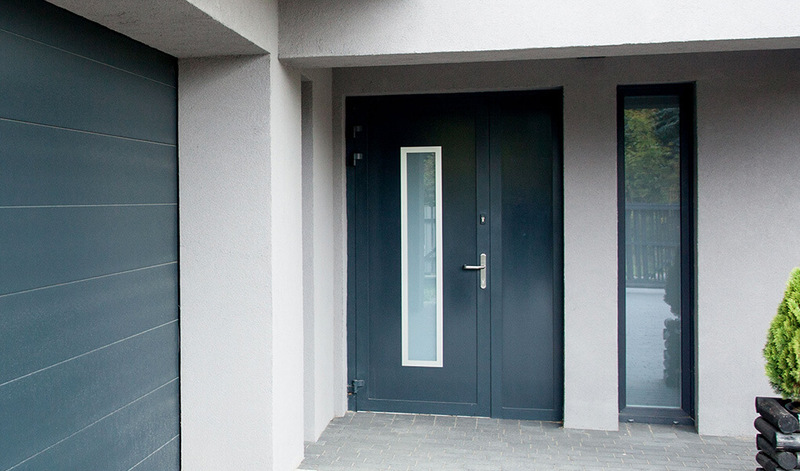 Whilst our aluminium entrance doors are constructed from materials of the highest quality, T&K also installs entrance doors constructed from uPVC and timber. We offer a selection of finely crafted handles, which can be finished in a number of colours. T&K can incorporate a stylish knocker onto the door too, whilst the letterplates can be completed in a number of finishes. Fabulous from start to finish. I would have no hesitation recommending your organisation. Thank you […] for their professionalism. Throughout the process, he couldn’t have asked for more. All the staff have been helpful and friendly, and the finished installation is fantastic. Competitive quote – installed within two weeks. Excellent product professionally installed. Well done! I would recommend T&K to anyone! I would recommend T&K to anyone! They have done a fabulous job installing a new front door and canopy. First class job! Job well done. Really pleased with the quality of the workmanship and a great bunch of guys. Left the place spotless. We have had all our doors & windows replaced by T & K, excellent company. Fantastic company that designed the perfect conservatory for my home and at a very cheap price, I would recommend them to anyone. Thank you for my recent installation. I am delighted with the result, and would recommend your organisation without hesitation. With full accreditation from the appropriate regulating bodies and a number of glazing awards to our name, you can feel assured of the quality that’s on offer. During our tenure as traders, we’ve provided bespoke home improvement solutions across the Northamptonshire area and beyond. This includes Corby, Northampton, Bedford, Kettering, Milton Keynes, Cambridge, Aylesbury, Oxford, Rugby, Bicester & Luton. T & K Home Improvements accepts card, cash and cheque as payment.